Transnistria: a country I have grown to love after many years of travelling and guiding there. However, its status as a ‘country’ is debatable. Born in the wreckage of the USSR, the region burst into a viscous civil war due to Moldovan attempts to ‘Romanize’ and suppress Russian language and culture. Today, it remains independent from Moldova and boasts its own army, currency, flag and parliament. However, it’s far from being on the tourist trail, mainly due to lack of information or fear-mongering media reports. Transnistria has been accused of being a black hole of arms dealing, human trafficking and even nuclear weapons. These serious but often unverified claims, combined with its mysterious, secretive aura, have led to the republic being nicknamed ‘’the North Korea of Eastern Europe’’. From a teenage militant to being decorated by Nicolae Ceauşescu, it’s fair to say Gheorghe Pintilie had ‘a colourful life’, but the colours of his life were undeniably dark. Born in Tiraspol, the capital of Transnistria, he was a teenage soldier of the Bolshevik army in the Russian Civil War before being recruited by Soviet intelligence to carry out espionage and sabotage actions in Romania. He was caught and imprisoned for a number of years in the dreaded Doftana Prison known as ‘the Romanian Papillon’, here he made connections with soon-to-be-high ranking members of the Romanian Communist party. In 1945, after a confidential vote at the top of the Romanian Communist party, he led a squad that kidnapped Ştefan Foriş, the previous General Secretary of the party, and personally beat him to death with a crowbar. 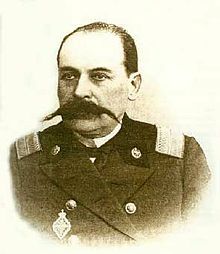 Pintilie then became the first Director of the securitate in 1948. In this role, he was directly implicated in the infamous “Piteşti prison experiment” and the majority of deportations to the forced labor camps at the Danube-Black Sea Canal known as the “graveyard of the Romanian bourgeoisie”. Many authors maintain that it was Rachkovsky’s agent in Paris, Matvei Golovinski, who authored the first edition in the early 1900s.The text presented the impending Russian Revolution of 1905 as a part of a powerful global Jewish conspiracy and fomented viscous anti-Semitism to deflect public attention from Russia’s growing social problems. The book led to many pogroms across Eastern Europe and was also used as a propaganda tool by the Nazis. Valeria Lukyanova was born in Tiraspol in 1985. After winning the “Miss Diamond Crown of the World” beauty contest, she developed a worldwide following for her Barbie doll-like appearance. She gained notoriety after reports of her “almost inhuman beauty” surfaced online. The Russian media soon began to describe her as being like a living Barbie doll. After scepticism, Lukyanova admitted to having breast augmentation but no other plastic surgery, claiming her Barbie like features were natural. She is currently an instructor at the bizarre School of Out-of-Body Travel, described as “an international school in which our instructors show students how to leave their physical body and travel in their spiritual body.” This led to her being featured in a Vice Documentary in 2013 entitled ‘’Space Barbie’’. Although bizarre, it would appear that Transnistria’s most wanted man is their former president. Yevgeny Shevchuk was born in Rybnitsa and considered a reformist type of character in the world Transnistrian politics. He became the second president of the republic, but his career was rapidly tainted; he was accused of corruption, smuggling, abuse of power, misappropriation of state money in especially large amounts, as well as unreasonable delay in the payment of pensions and salaries. Shevchuk fled and crossed the border into Moldova. Shevchuk claimed that he crossed from PMR to Moldova in a taxi, whilst Russian media and Transnistrian officials claim that he sailed across the Dniester river in a rowing boat. Moldavian officials stated that they would not hand Shevchuk over to Transnistria. If he ever returns to Transnistria, Shevchuk faces up to 12 years in prison. Born at the height of WWII, the early life of Igor Smirnoff certainly wasn’t easy. In 1952 his father was arrested for apparent irregularities in collective farm distribution and was sentenced to fifteen years in Soviet forced-labor camps with a following period of five years’ internal exile. The Smirnoff family were classed as enemies of the people until their father was released. During the 1990s, Smirnoff was the crusader for Transnistrian independence and worked to gain recognition for the state whilst also enlisting the help of local Red Army units. As the conflict grew increasingly violent into 1992, the Red Army gave moral support, weapons and ammunition to Transnistrian separatists. Igor rose to become the first president of the republic and ruled for 20 years until he was voted out and replaced in 2011; however, Smirnov declared that he will only retire from politics when Transnistria obtains international recognition as a sovereign state, calling this goal his life’s work. During YPT’s annual Transnistria National Day tour, we were lucky enough to meet President Smirnoff and have our photo taken with him. To visit this incredibly bizarre rebel republic, join one of our many affordable Transnistria tours running throughout the year. If our dates don’t work for you, we can easily arrange private, entirely customizable trips for any number of people. Simply contact us for an unbeatable quote.